OS Map Ref NT 239740. 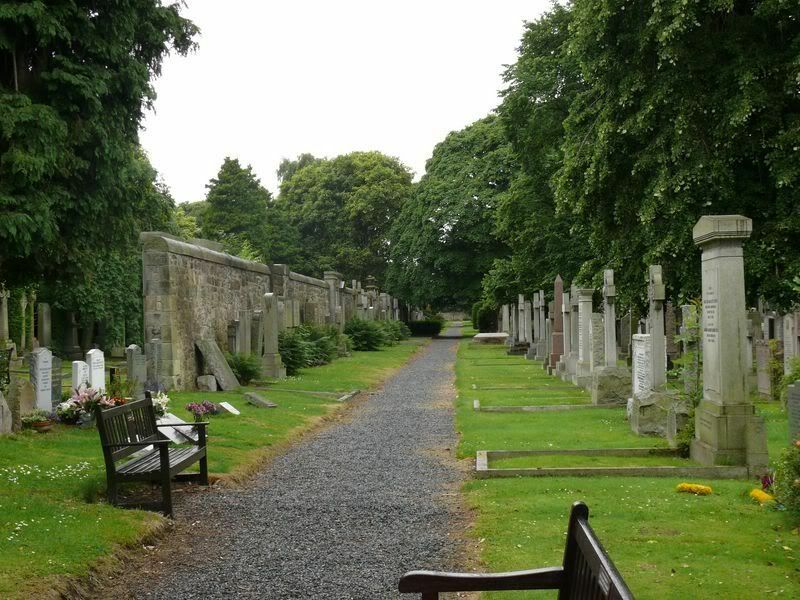 Entrance is round the corner from the Dean church at the end of Ravelston Terrace. This is a very large cemetery. 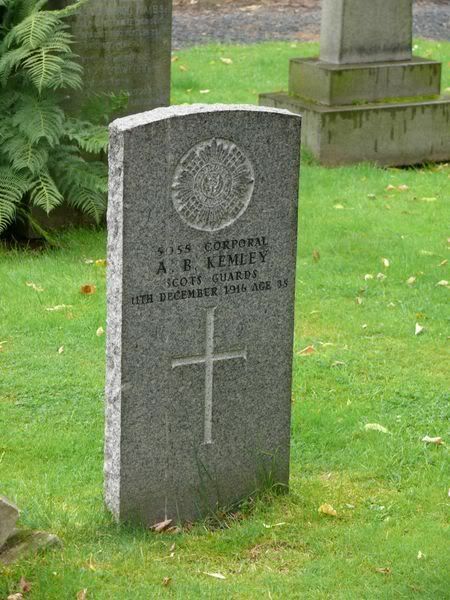 I think the 29 is an error on CWGC database because they actually list 39 names. 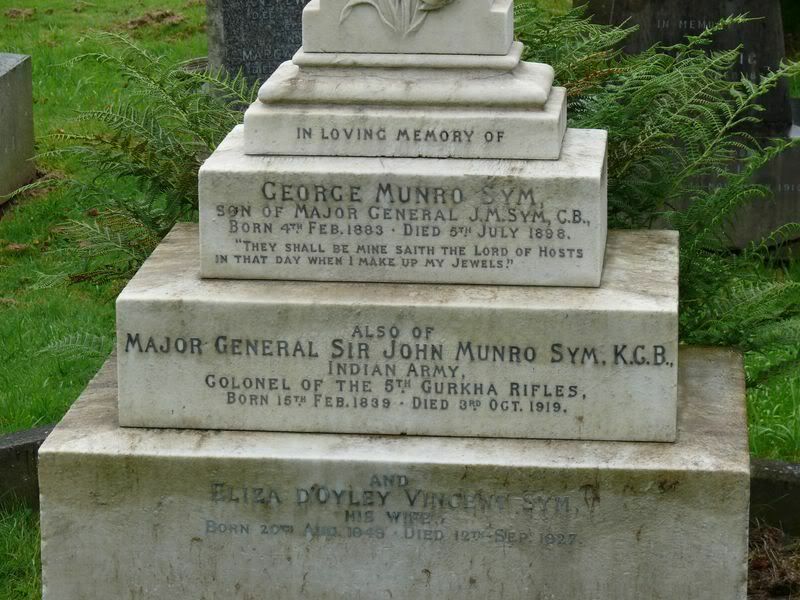 Of that 39, 33 were officers so this is very much a cemetery of 'the great and the good'. There are certainly some incredible monuments and it is very atmospheric. 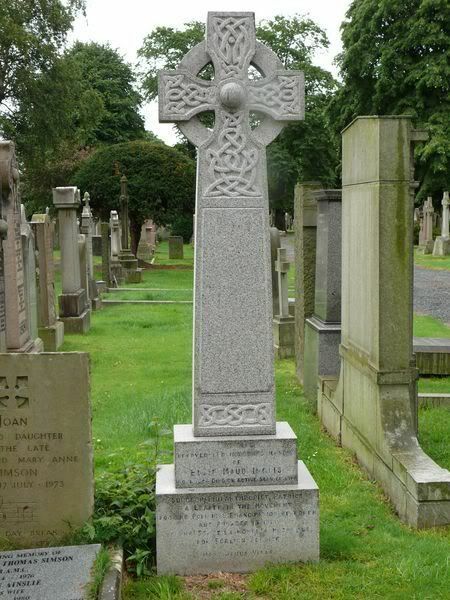 Amongst those buried here are Elsie Inglis, 'Fighting Mac' and a US civil war confederate soldier. The cemetery is only open from 9 to 5 (or dusk if earlier) and is closed on public holidays! The minister of the Dean church is very knowledgeable about the graves and was very helpful. It will certainly take several visits to find my way around and I only get down this way once a year or so. I have just collected a few photos so on this occasion I will post the non CWGC ones before collecting all the CWGC ones as I may well never get them all. 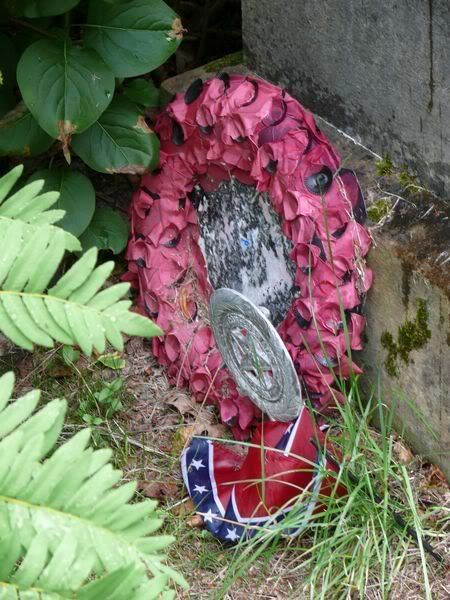 This is a private stone on a CWGC grave. Grave/Memorial Reference: Sec. B.B. Grave 46. 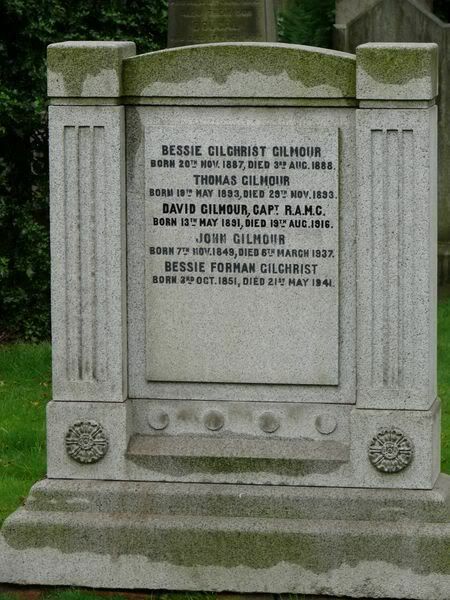 Additional information: Son of John Gilmour, of 20, India St., Edinburgh. M.B. 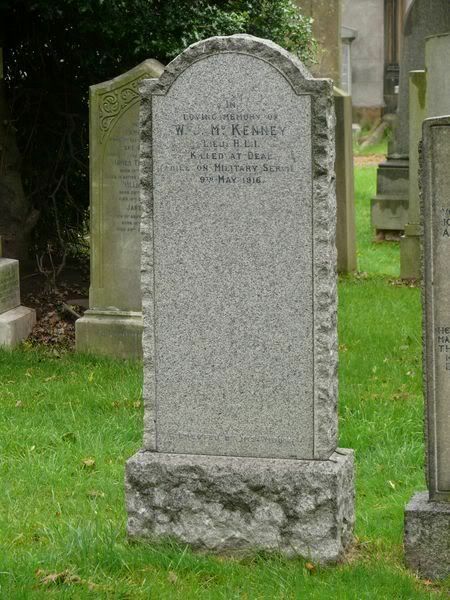 Additional information: Son of Mr. and Mrs. William Kemley; husband of Elizabeth Wallace Kemley, of 4, Reid Terrace, Edinburgh. 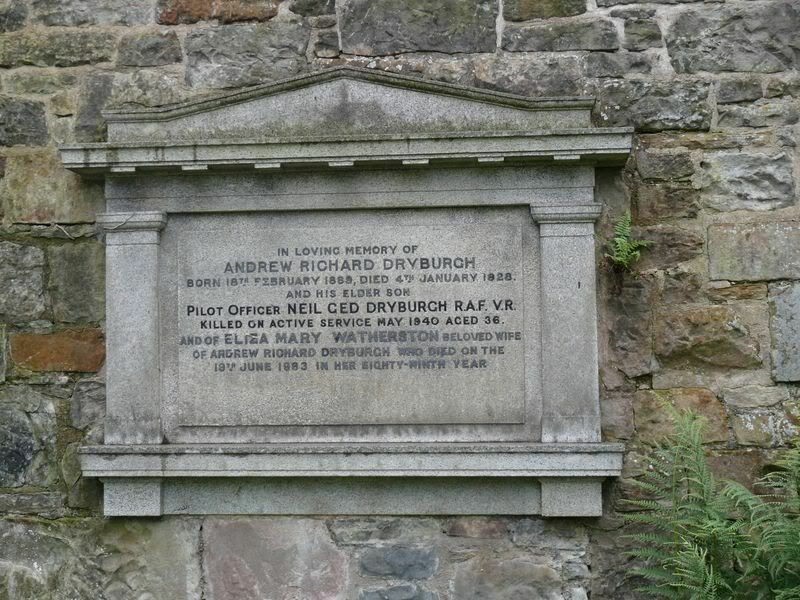 Born at Arbroath. Additional information: Order of the Brilliant Star (Zanzibar). 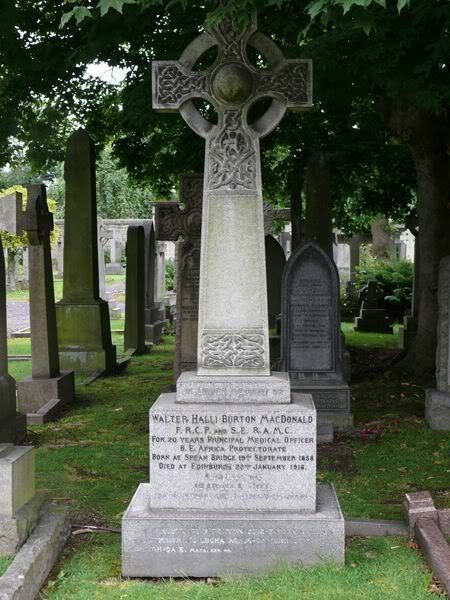 Son of John and Catherine MacDonald, of Spean Bridge, Inverness-shire; husband of Isabella Hill MacDonald, of 39, Merchiston Crescent, Edinburgh. Served in the Uganda Expeditions (1897-1900). 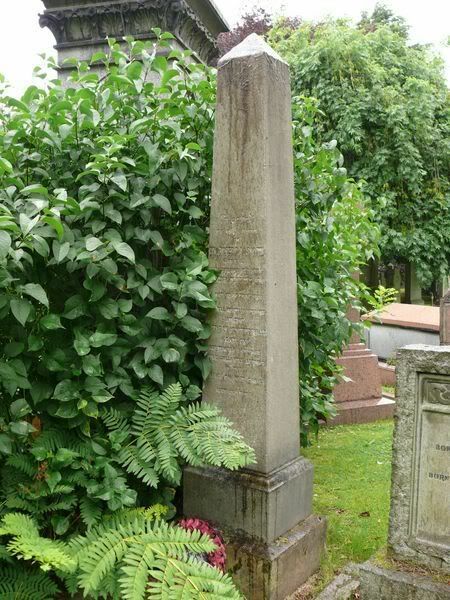 Grave/Memorial Reference: E. 13. 156. Secondary Unit Text: formerly 3rd Bn. 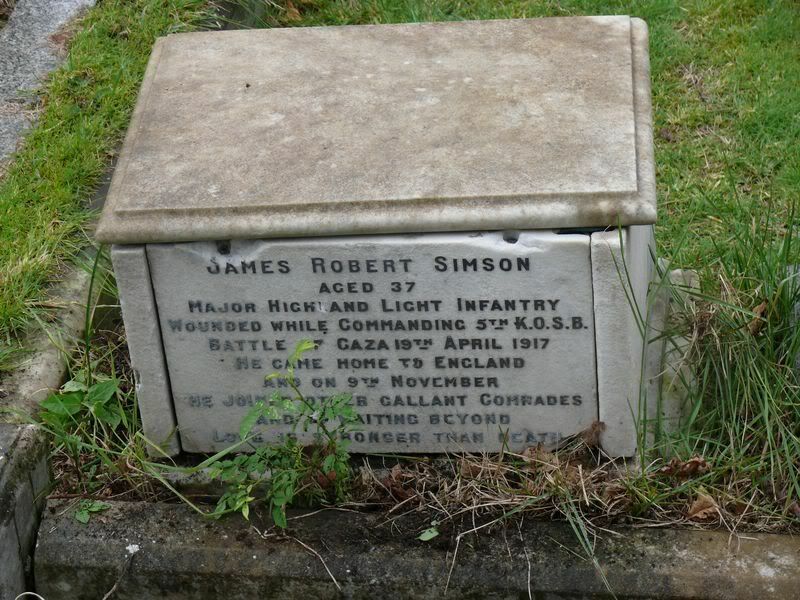 Additional information: Son of Amy and the late Robert Simson; husband of Minnie Simson, of Bromley, St.Anns, Jamaica, British West Indies. Additional information: Son of the late Rev. John Sym; husband of the late Eliza d'Oyley Vincent Sym. 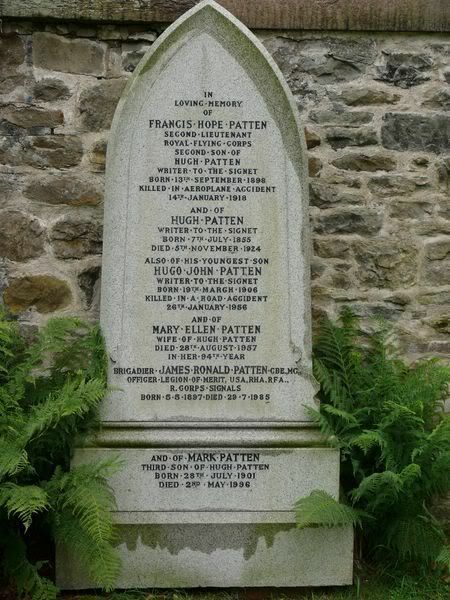 This must be one of the oldest recipients of war grave status. Generals do not retire, they go onto half-pay so all Generals are still serving at the time of death! Not sure if that is still true, but it was until the '60s for sure. 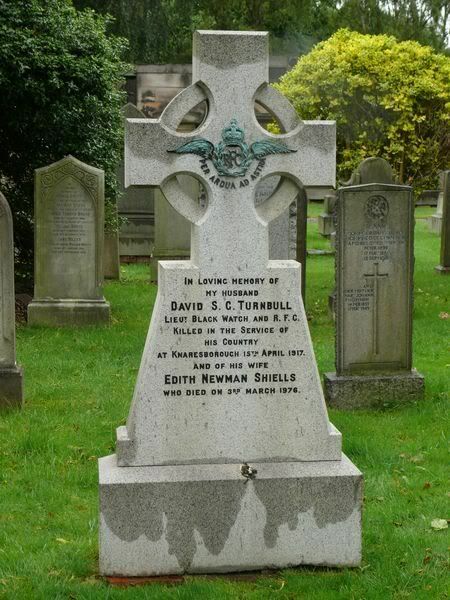 "Lt D S G Turnbull was killed in an accident while flying BE 12a A6350 on 15 April 1917"
This is a non CWGC grave to Elsie Inglis, founder of the Scottish Women's Hospitals. 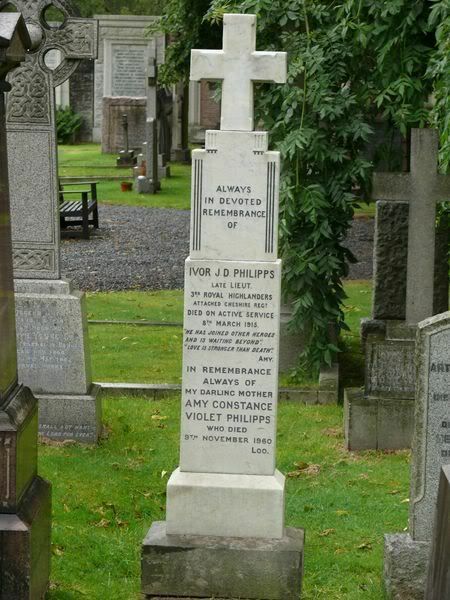 She also had a hospital in Edinburgh named after her and she has a memorial in St Giles cathedral. 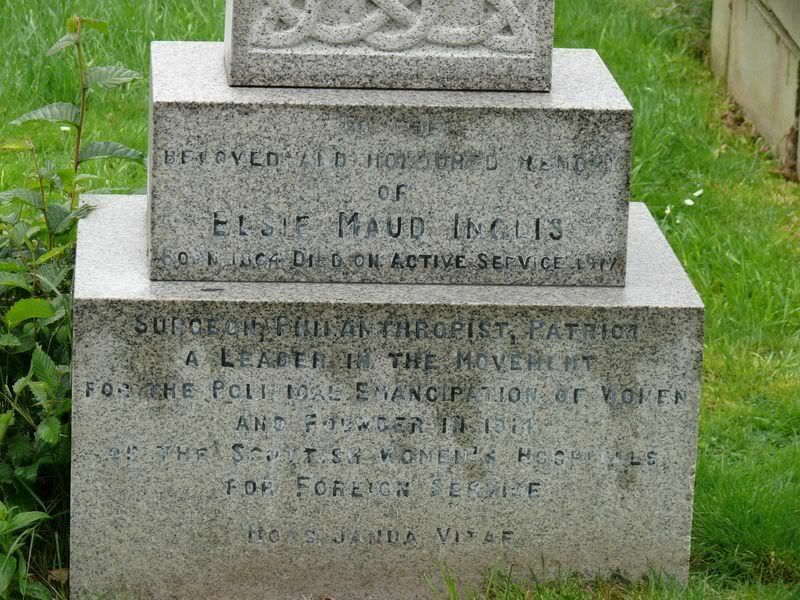 A Leader in the Movement for the political emmancipation of women and founder in 1914 of the Scottish Women's Hospitals for Foreign Service. 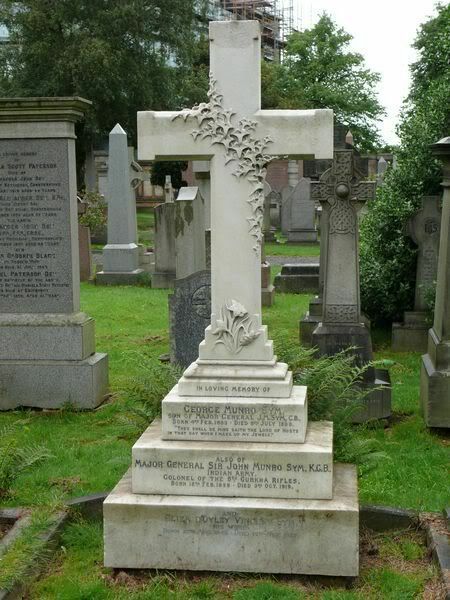 It's a pity to see the lettering on her grave so poor. 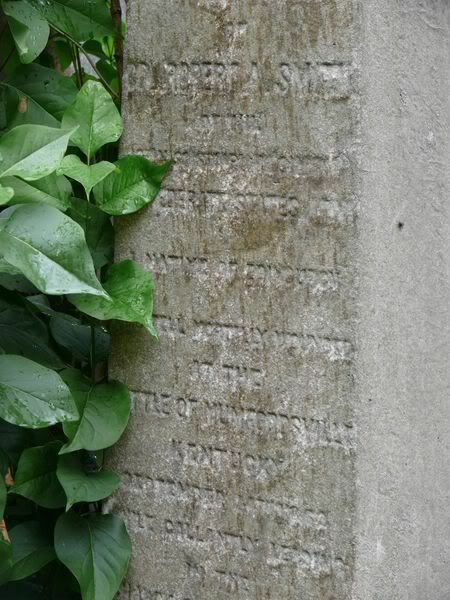 "Erected to the memory of Col. Robert A. Smith, of the 10th Mississippi Regt., Confederate States Army, a native of Edinburgh, who fell mortally wounded at the battle of Mumfordsville, Kentucky, September 14 1862, while gallantly leading in the charge on Port Craig, aged 26 years." She adds that he is not buried there and he has 3 memorials. 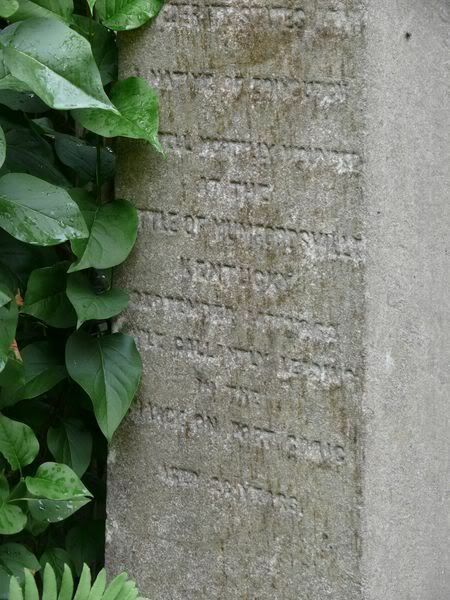 However this looks like a gravestone and it is in a graveyard so I think this is the right place to post it.